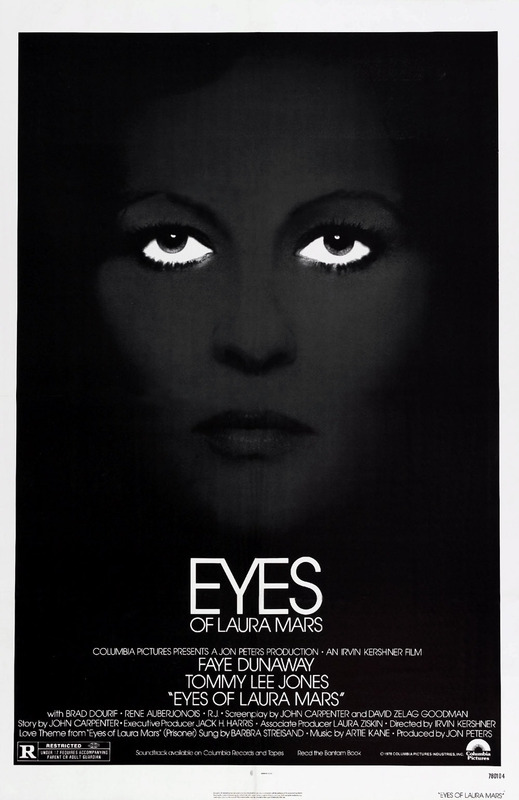 The Eyes Of Laura Mars is a slick little thriller, directed by Irvin Kershner (The Empire Strikes Back) and based on a story/screenplay co-written by John Carpenter. Faye Dunaway plays a fashion photographer who can somehow see behind the eyes of a killer as they take out their victims. Her visions come across in her work, depictions of sexualized murder scenes. Tommy Lee Jones, Raul Julia and Rene Auberjonois all give good supporting performances but my favorite is Brad Dourif, who gets all the choice lines. Carpenter draws heavily from his love of giallo here, to the point that if this was filmed in Italy, it would be a giallo. 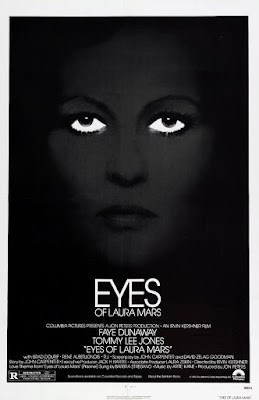 If Eyes was directed by an Italian, it feels like it might have been Sergio Martino or Luciano Ercoli and less so Argento, one of Carpenter's most named-dropped influences.